Dr. David Earnest and his caring, dedicated team offer comprehensive dental care in a unique and relaxing setting. We strive to make your experience in our office as comfortable and productive as possible. We believe in offering a wide selection of dental treatments to fix your problem teeth, and to maintain healthy, strong teeth and gums for the long run. From professional, advanced teeth whitening, to restorative dental services like dental implants, we have the dental services you need all under one roof. 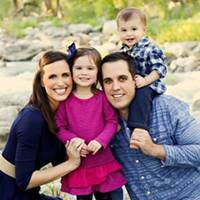 The dental team of Comal Dental are dedicated to professional dental care. You can look forward to compassionate patient care within a relaxing office atmosphere, as we also offer sedation dentistry. Our comfortable office offers the very best in dental technique and technology – expressly delivered with your total well being in mind. We work as a coordinated team to bring you the best in oral health care. For your convenience in addition to normal business hours we are open some evenings by appointment only. We also accept most insurance plans, as well as all major credit cards. We look forward to meeting you and to helping you achieve optimal oral health. Dr. David S. Earnest is a native of San Antonio where he completed his Doctoral training at the University of Texas Health Science Center. 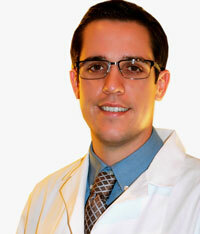 He is passionate about providing dental care with a gentle and personal touch. He is also devoted to the lastest advancements in his field and attends numerous continuing education courses every year. David and his wife Christine are proud parents to their daughter, Adele. David spends his free time in the outdoors mountain biking, fishing, golfing, or hiking with his blue heeler, Sydney.